Watching Missy Elliott during the halftime of this year’s Superbowl got that 1,2 Step song she did with Ciara stuck in my head. 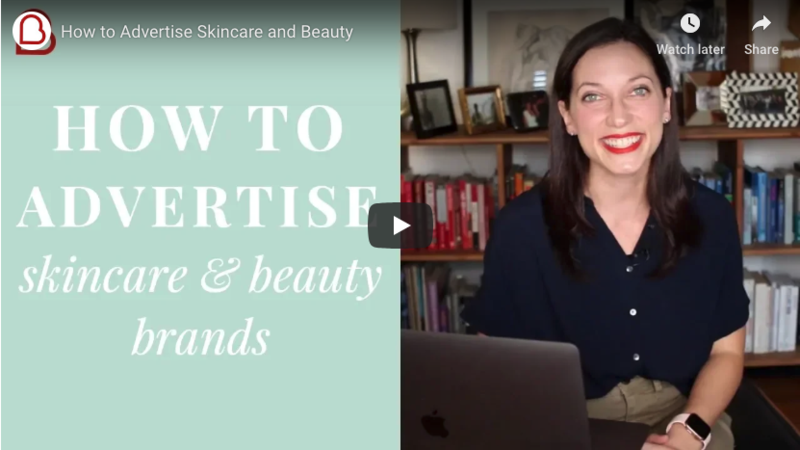 And as I was working on some ad campaigns with it rattling around in my brain, I realized the ad strategy I was using was kind of like the 1,2 Step. What we are going to do instead of sending them directly to one of those pages is send them to a piece of valuable content first. And THEN direct those specific visitors to the sales, product or email sign up page. Well, what this does is gets a prospect more familiar with your business so that when you next ask them to take your desired action, they are more likely to convert. The first thing to do is to identify or write a strong article on your company’s blog. It should be in-depth, informative, teach them something and guide them towards your business. If you’ve already been investing in content marketing, this is pretty easy, just go and choose one of your more popular articles. You can go down your blog and see which have gotten the most social shares. Or go to Google Analytics. Select ‘Behavior’, then ‘Site Content’, then ‘Landing Pages’ to see which of your posts has gotten the most traffic. You already know that your target market has already responded well to it, so now you just need to amplify it. Don’t have much great content so need to write something new? You can look up what kind of articles your competitors have written that have been most popular. 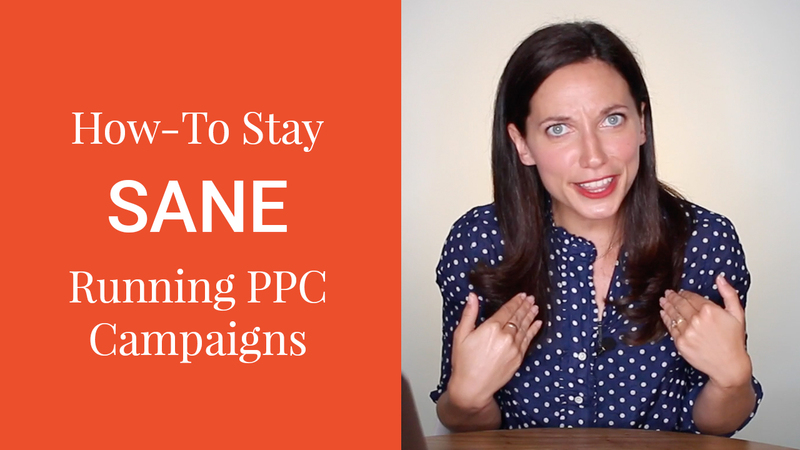 Next you want to make sure you have the Facebook retargeting pixel installed on your blog. I’ve seen a lot of companies make the mistake of placing the pixel on their domain, but if your blog is on a subdomain like blog.yourwebsite.com it’s not tagged properly. You have to place the tag again on blog.yourwebsite.com. If you set your blog up on yourwebsite.com/blog – you’re good to go and don’t need to place it twice. 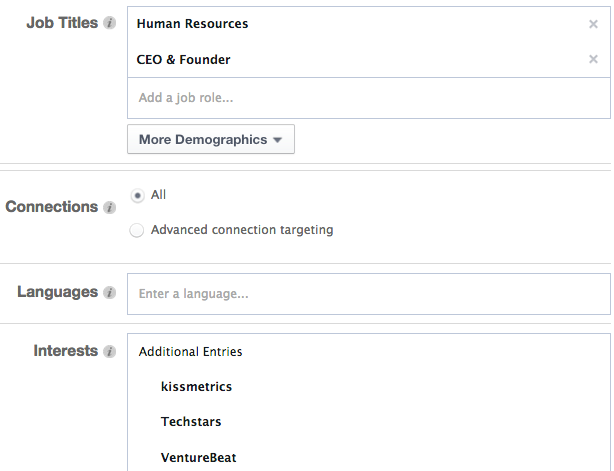 Next you want to identify your ideal prospect and set up their targeting in Facebook ads. Maybe you have a payroll software and your typical customer is CEOs and HR people at other tech companies. You could target people with those job titles and that our fans of tech related pages like: Tech Stars, KissMetrics, Venturebeat etc. Now, the typical approach would be to create an ad that leads write to your homepage or sign up page. But instead of doing that, we are going to create an ad promoting a specific and relevant blog post. 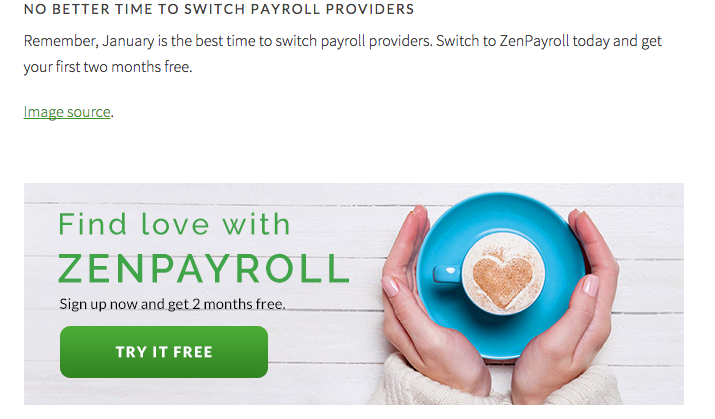 Let’s pretend we are running ads for Zen Payroll. The ideal post isn’t just some random article but something that ties in your product. It could be a case study of how a business saved 20 hours per month using their software. Or an article like How to Get Your Employees Ready for the New Year . But it shouldn’t be an all-out pitch fest. 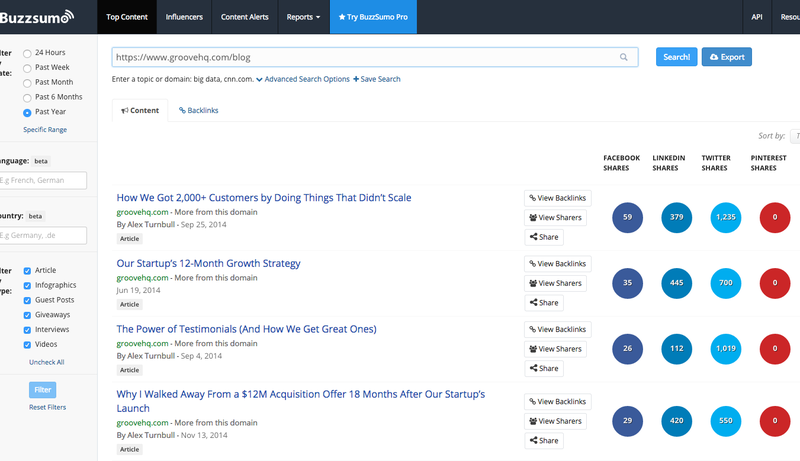 This is a blog post not a sales page. The reader should leave knowing what your company does but shouldn’t feel like they were just hard sold to sign up. The ad should look just like an organic article post that you would see shared in your newsfeed by a friend. So the ad will direct them to your blog post. It should be engaging and also have a call to action at the bottom for them to sign up – since that is our ultimate goal. But only a small percentage of people who read the post will immediately get interested in your company and sign up for an account. That’s why we placed the retargeting pixel on your blog. 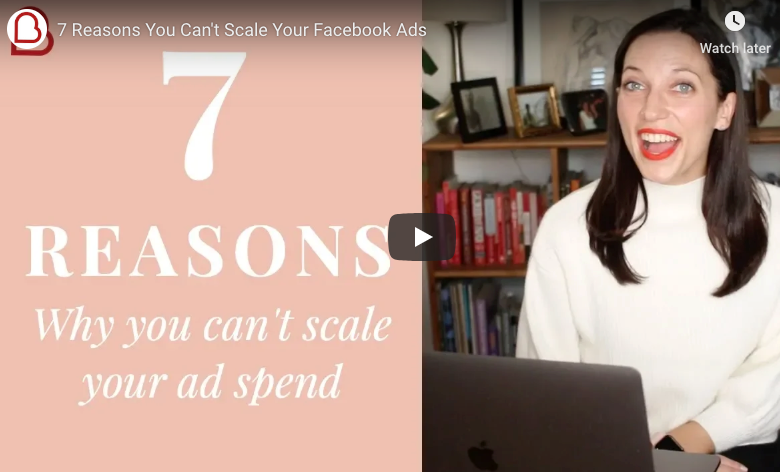 Now you’ll set up a retargeting segment within Facebook that encompasses everyone who visits this blog post but did not convert to an account, email opt-in or purchase. Now, you’ll set up a series of retargeting Facebook ads for the readers of that post. You can use duration based intervals to retarget them throughout the lifecycle after they’ve viewed the post. Day 2: Ad directing to the sign up page. Part 2 of the 1,2 Step. 7-14 days: Retarget visitors to the sign up page who did not convert into an account. Maybe you’re wondering how to determine if you’re promoting the right post. To determine this, login to Google Analytics and see how long people from Facebook are staying on the page for. This is called average visit duration. If it’s only for a few seconds, the content isn’t interesting to them and you should try out a different post. Directing potential customers to an interesting and helpful blog post will warm them up before you try to convert them to a user or customer. Yes, you’re spending more by paying to send them to a blog and then the sign up page vs. just initially sending them to the sign up page, but you should see your conversion significantly increase with this approach. You’ll also see more sharing of your content which will bring in more non-paid traffic.